Collins Booksellers - Advances in Industrial Mixing by Suzanne M. Kresta, Arthur W. Etchells III, David S. Dickey & others, 9781118944301. Buy this book online. 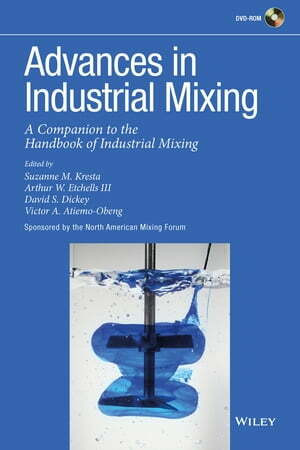 Advances in Industrial Mixing is a companion volume and update to the Handbook of Industrial Mixing. The second volume fills in gaps for a number of industries that were not covered in the first edition. Significant changes in five of the fundamental areas are covered in entirely updated or new chapters. The original text is provided as a searchable pdf file on the accompanying USB. This book explains industrial mixers and mixing problems clearly and concisely. Gives practical insights by the top professionals in the field, combining industrial design standards with fundamental insight. Details applications in 14 key industries. Six of these are new since the first edition. Provides the professional with information he/she did not receive in school. Five completely rewritten chapters on mixing fundamentals where significant advances have happened since the first edition and seven concise update chapters which summarize critical technical information.